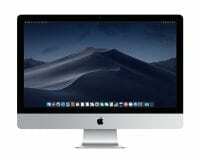 Home Apple Mac Leasing Apple Desktop Leasing iMac 21.5"
MacbookMacBook AirMacBook Pro 13"MacBook Pro 15"
Apple iMac 21-inch 4K Leasing & Hire Solutions. Benefit from 100% tax relief IT Business Leasing. 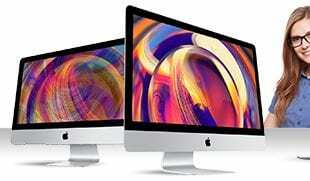 The iMac 21-inch Retina is also available to upgrade to a Quad Core i7 processor for true high-performance workflow. Featuring onboard Intel Iris Pro Graphics and the new wide-gamut Retina display, experience true-to-life colours with 25% more available colour than previous Retina displays. With options to upgrade memory and storage, you can tailor your iMac to meet your specific needs. With 2x Thunderbolt 3 ports, experience fast upload connectivity making the transfer of large data effortless. All new iMacs ship with the new Magic Keyboard and Magic Mouse 2 which are now rechargeable products that charge directly from the iMac. 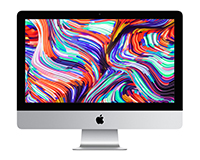 Take the new iMac 21.5” Retina 4K today on an incredibly flexible HardSoft Apple lease and receive a 3 year ‘All Risk’ support package which includes a 3 Year ‘Collect & Return’ warranty with a loan Mac and 3 Year Accidental Damage Cover ensuring you are fully covered should anything happen to your machine. Contact our helpful sales team on 0207 111 1643 to discuss why Apple iMac leasing is so great for business. With 100% tax relief and at much lower rates than a bank loan, there are no heft arrangement fees. With over 30 years experience in IT and finance, our team can advise on all aspects of your Apple lease. The Apple iMac lease is so flexible; you can Return, Retain or Renew, like a phone contract update your equipment just 24 months in to your contact. You will not fall behind if more advanced technology is released before the end of your lease. 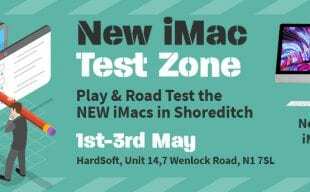 It costs just £1 +VAT to take ownership of your device if you cannot part with your precious iMac at the end of your lease. 3 years free warranty and telephone technical support are also included in your Apple lease package. We will collect, repair and return any faulty machine under warranty for free. We even have a bank of loan machines available to keep your business running smoothly. Our experienced technical team are the perfect solution to hiring an IT help desk and you have unlimited remote support thought your Apple iMac hire. Dotted all over the country and on the go, they are available all over the country and are highly trained with Apple certification.